After some (window) shopping with a friend, we decided to get something Japanese to treat our taste buds and tummies. But we also wanted something that wouldn't make our wallets cry out so we decided to check out one Japanese resto that we kept passing by near the ground floor entrance of Trinoma. It was the Oki Oki Japanese Restaurant. We checked out their menu, and we decided that their prices were ok too! So in we went to satisfy our tummies. Both of us were too tired to think actually and there were so many choices on their menu that we just decided to order our usual favorites. But the server recommended that they had set menus which included a main dish, miso soup and iced tea as well as hot tea which was on the house so we opted for that. 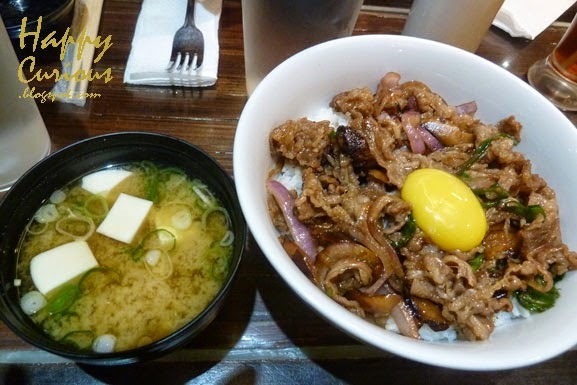 My friend choose Oyakudon (Php160.00) while I choose their Gyudon (Php185.00). The servings were rather large as you can see from the first picture. So we asked for smaller bowls so we could share. The dishes were both delicious; the meats cooked just right and the rice was also perfectly cooked. We didn't even have to add condiments to the dishes even when they were readily available on our table. 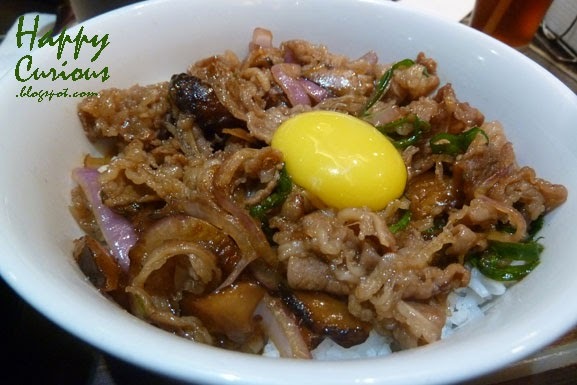 But in the end, we exchanged dishes as I liked the Oyakodon more and my friend liked the Gyudon. I could hardly take pictures before we devoured these. The restaurant itself had a homey and cozy ambiance and was decorated with a lot of details which made it feel Japanese. Unfortunately, I forgot to take pictures but I was very satisfied with the wooden table which was designed like a bench as well as the wooden benches were we sat. That did make the atmosphere very Japanese to me and it was comfortable enough that we had a pleasant time chatting as we tried to finish our meal. 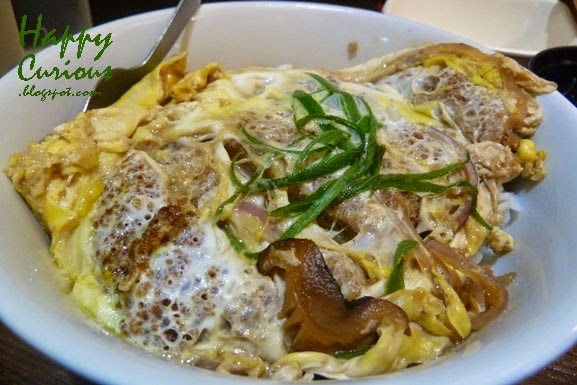 Now katsudon, gyudon and oyakudon are usually the treats we look for in a Japanese restaurant. 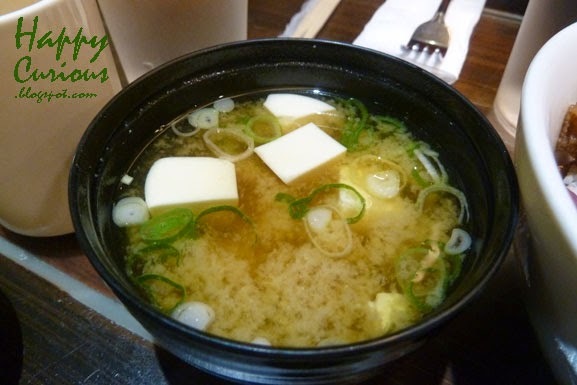 But for me, miso soup always gives me that Japanese taste and I was happy that their miso soup had an adequate amount of tofu and in larger sizes too than the little cubes I sometimes get which leaves me feeling shortchanged. I enjoyed eating here but I can't say that the dishes tasted authentically Japanese as there are other more high-priced restos that have more right to that claim. I would say though that this tasted better than the dishes you get from Japanese fastfood restos and for the same price too. So if you're on a budget and you want something to satisfy your cravings for Japanese food, head on over here. You'll have a lot to choose from including ramen and even executive bento sets. Might try the last one the next time I visit.